Alex and Amy were determined to have a low-key wedding at the Malt House in FiDi. We met up in Brooklyn Bridge Park in the drizzle for some wedding portraits, and then met friends and family in lower Manhattan by the Oculus for some formal shots. 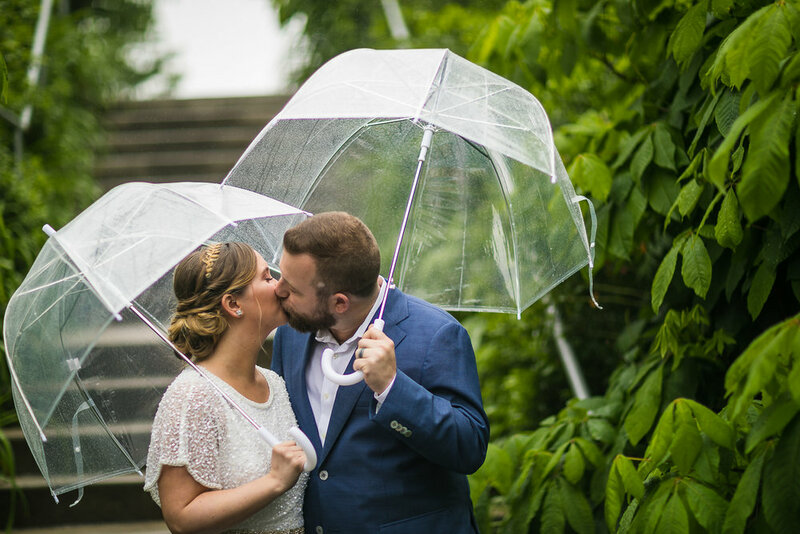 The original plan was to have the ceremony in Battery Park in lower Manhattan, but the rain persisted, so they conducted it in the party room of the MaltHouse with just close friends and family. What followed was a super fun, laid back wedding reception with bar food, beers, and people having a great time all night. It was SO very New York.